Healthy coral reefs are some of the most biologically diverse and economically valuable ecosystems on earth, providing food, jobs, recreational opportunities, coastal protection and other important services to billions of people world-wide. Unfortunately, many of the world’s coral reefs (including the associated seagrass beds and mangrove habitats) have been damaged or destroyed due to increasing human impacts, climate change, and other factors. The State of Hawaii Department of Land and Natural Resources (DLNR), Division of Aquatic Resources (DAR) is the primary agency responsible for coordinating Hawaii’s reef management efforts in the main Hawaiian Islands. 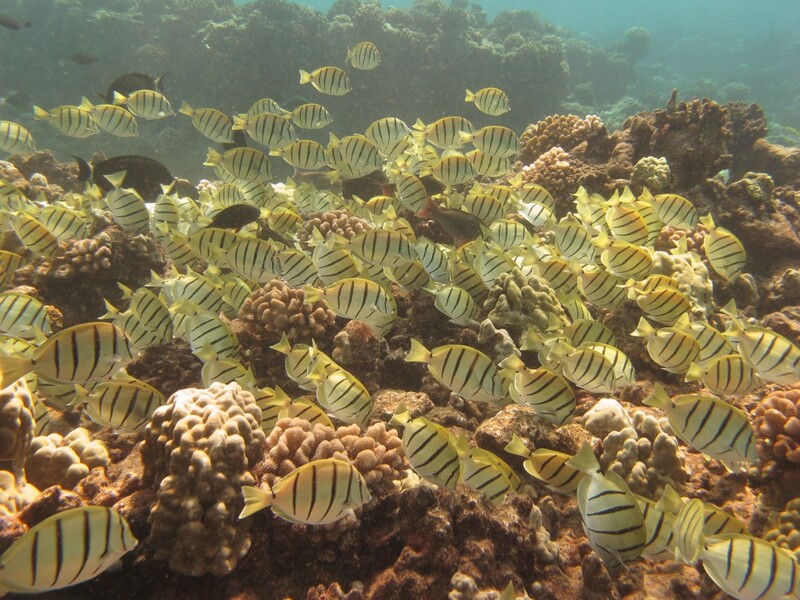 The Coral Reef Working Group, made up of key state and federal partners involved in coral reef management, provides guidance for the State of Hawaii’s Coral Program. DAR supports critical planning efforts, community action, awareness-raising activities, scientific research with direct management applications, and on-the-ground management projects. Key outcomes of this work include greater capacity to enforce coral reef protections and increased understanding of the key threats to reef ecosystems at priority sites.